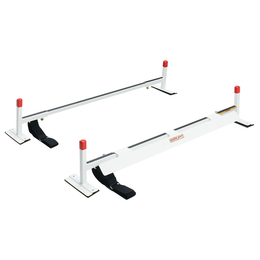 This All-Purpose Rack features cross members made of 14-gauge steel tubing. 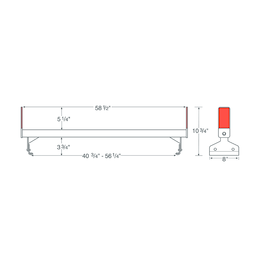 Mounting base is extra-wide 12-gauge steel for superior attachment strength to the gutter. For exact fitting information, please refer to the fitting guide. 205-3 2 Cross Member Rack 42 lbs. 216-3 3 Cross Member Rack 62 lbs. 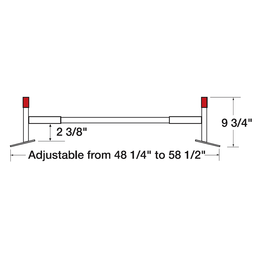 2056-3 Accessory Cross Member 23 lbs. 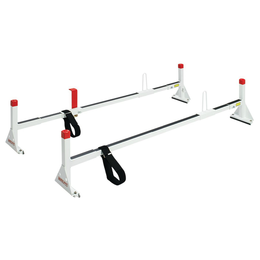 This All-Purpose Rack features cross members made of 14-gauge steel tubing cross members and a specially designed mounting base for secure through-the-roof mounting. 220-3 2 Cross Member Rack 25 lbs. 221-3 Accessory Cross Member 11 lbs. 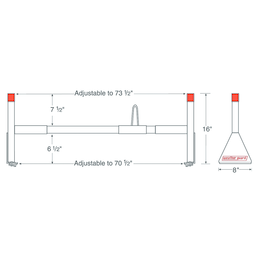 This All-Purpose Rack is designed to clamp to roof gutters. 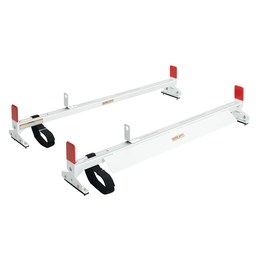 It features extruded aluminum cross members with a double tube design for maximum carrying capacity. 209-3 2 Cross Member Rack 31 lbs. 229-3 3 Cross Member Rack 43 lbs. 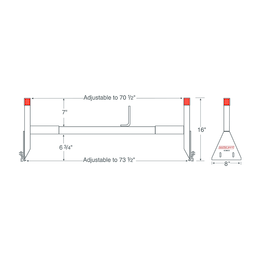 2097-3 Accessory Cross Member 20 lbs. 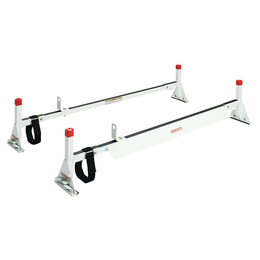 This All-Purpose Rack has a specially designed mounting leg that fully adjusts to the contour of the van roof, for secure through-the-roof mounting. 218-3 2 Cross Member Rack 25 lbs. 222-3 Accessory Cross Member 13 lbs. 226-3-01 Fits model 224-3-01. Optional Mounting Bracket Kit for Ford Transit Connect 6 lbs.